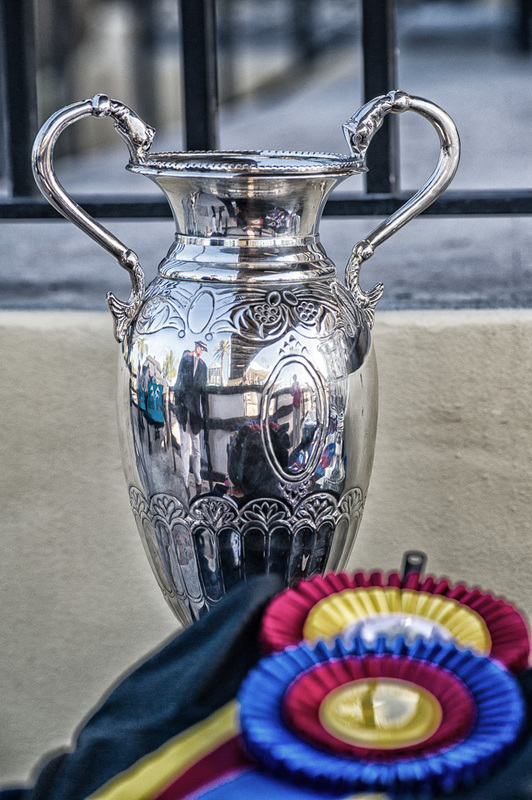 Ringmaster Cliff Haines is reflected in a gleaming trophy that he later presented to a Junior Hunter champion. Processed in Color Efex Pro 4 using the Detail Extractor and Bleach Bypass filters. Fabulous ! It would be fun to win that silver cup.